Poverty remains a terrible reality for many of our world's citizens. While it exists everywhere, it's most severe in developing countries, where more than 700 million people—half of them children—live on less than $1.90 a day. You have the power to positively change a life with every purchase. Our collection of 1,000 unique handcrafts represents the best in global artistry and traditional craftsmanship, with each piece carefully inspected to meet Serrv's quality standards. Shop with purpose. Choose fair. 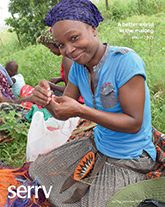 One of the first fair trade organizations in the United States, Serrv was established in 1949 to help displaced refugees trade their handcrafts for income after the Second World War. As a founding member of both the World Fair Trade Organization and the Fair Trade Federation, we've steadily increased our impact in the fight against global poverty. 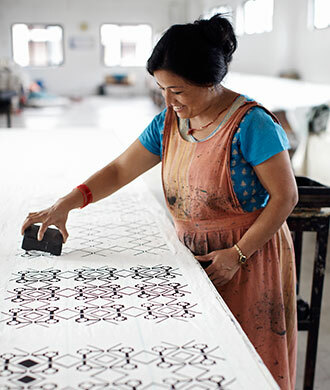 Today we employ and empower nearly 8,000 artisans and farmers in 24 countries. 1950 Serrv's first store, the International Gift Shop, opens in New Windsor, Maryland. 1951 The first catalog is printed. First products are sent out on consignment. 1976 Serrv begins importing handicrafts from artisan groups Asha Handicrafts and Tara Projects (both in India), as well as Community Crafts Association of the Philippines—all groups we continue to work with today. 1989 Becomes a founding member of the World Fair Trade Organization. 1990 Becomes a founding member of the Fair Trade Federation. First direct-to-consumer catalog published. 1995 Begins partnership with Catholic Relief Services. 1999 Becomes first distributor of Divine Chocolate in the United States. 2001 Administrative, marketing, and merchandising departments move to Madison, Wisconsin. Serrv store first opens in Madison.